A couple of months back, my family and I drove over to eastern Washington to visit my brother-in-law for his son's first birthday celebration. My wife's family from California came up, and we were all crammed into a house and hanging out for the weekend. Being an only child, I've never quite gotten used to all the extended family nearby -- between the noise and the expectation of constant conversation, my instinct is generally to find some quiet solace. What I did observe on that trip, however, is that my three daughters thrive in the noise, and in all the activity, and with having relatives nearby who want nothing more than to spend hours playing with them and talking with them and hugging them. I didn't grow up this way, so I never valued having relatives nearby. It wasn't something I ever craved or envied in others; I simply had no concept of it. On that visit to eastern Washington, it crossed my mind that children need their grandparents and aunts and uncles. In that moment, having relatives nearby became very valuable to me. In Olympia, our little family has been something of an island - no available relatives that can come over in a moment's notice, no family to come over and take care of the kids if my wife and I are sick with the SWINE flu. We've gone seven years without a large emotional safety net for our children, and while we've survived for this long without it, we knew from that trip that if we had the chance to live within a larger family structure -- a tribe -- we should take that opportunity. On the Sunday before we headed back home, I checked my employer's external website to see if there were any jobs available in the California area. As far as I knew, the only offices that had suitable jobs were in the Bakersfield and coastal area, which was too far away from the in-laws to be useful. To my surprise, there was a job opening within half an hour of where my in-laws live, and the job happened to be a position that my current job prepared me for. On Monday, I checked the internal website and saw that the job was no longer available, so I called the California office to see if there was a chance to squeeze in a request for consideration. They accepted the request, and after a video-conference interview and weeks of waiting (there were more than 30 applicants for the job), it was announced yesterday that I was selected for the job. 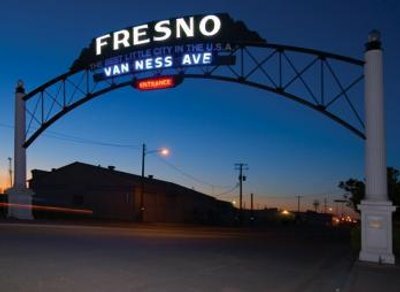 My start-date in Fresno will be November 30th. In four weeks, we will begin our trek down to California, packing a 3-bedroom house (and full garage!) worth of belongings into a U-Haul or POD with the plans to occupy space with the in-laws for a little while, and then to buy a house in the area that makes sense for the size of our family. One benefit of the downturn of the economy is that having rock-solid job security (I have a lot of faith in my employer) in an area where many homes have gone into foreclosure means that I can pick up a house off the auction block for less than the cost to build it. This might also be a good time to consider investing in some property. This will be a big change. My stomach has been in knots just thinking about this possibility, and now that it's finally here, the real stress of packing and closing accounts and shutting of utilities and all that has begun. This is going to be a hectic four weeks. To all my friends in Olympia, thanks so much for everything. Each one of you has been valuable to me, and especially those who have been able to take the time to really be a part of our family. I pray that God fills the void we leave behind with good memories and an increase in blessings. Your presence will be missed. As for the "fair" jab, net neutrality maintains freedom of speech and encourages growth of new technologies. The only organizations that oppose net neutrality are the ones who stand to gain the most from being able to throttle bandwidth and content and charge a premium for it. The ISPs and telcos, and that's about it. Oh, I read the article wrong then. I'm on your side then. I thought Net Neutrality would do the opposite. Well, the article might also have given you some misinformation. The anti-net-neutrality camp is trying to brand itself with a "hands off the internet!" mentality, as though "bad government intrusion" would make the internet less free. But in this situation, the opposite is true; the telcos want the ability to throttle both speed and access in order to charge a premium - it's like paying to have your site even show up on search engines and whatnot. CSIS has a concise writeup on the two stances. Well sir. I will say that you ARE a valuable friend, and will continue to be so, even if we don't live in the same state. This past tense you use to describe the value of your friends is ridiculous. I'll forgive you this time. Have fun down there dude, and take care of those girls! wow, ive never seen that sign before. haha. one of the things i thought about your move...is what are you going to do with all your stuff in the garage? ill be visiting ya here the next week. i havnt been the best uncle by not visiting my nieces lately. Ken - true, true. The lack of easy hang-out is kind of what I'm getting at, though. That's what's going into the past tense. hahaha, well they have room. Allow me to summarize. You = Josh. The only person I know who I can talk to about Linux and programming without that person looking at me blankly and saying "My cat's breath smells like cat food". And now you are moving away. Boooo! ha. We can always nerd-chat via facebook or my site, man.